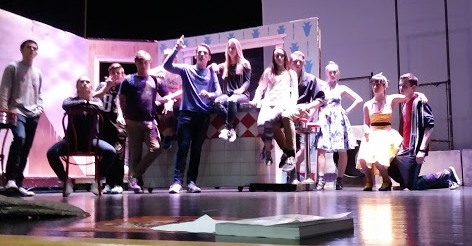 The cast has been rehearsing after school every day since early January as well as some sporadically placed rehearsals before winter break. A majority of these have focused on learning dances (followed by dance review) and adjusting scenes. “The directors are changing things to better fit the feeling of the show,” explained freshman Rowen Krantz who is portraying the youngest member of the Jet gang, Baby John. Rehearsals are also spent working on the challenging music. It is full of meter changes and tricky harmonies which prove to make both singing and dancing difficult. 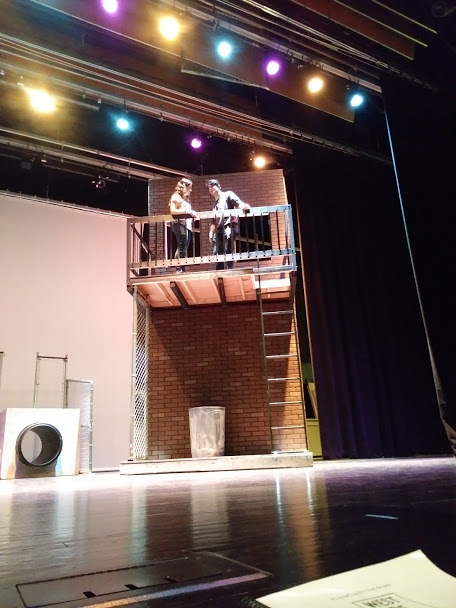 Senior Cheyanne Waller shared, “The music is challenging, especially the dissonance in ‘I Feel Pretty,’” referring to the act two song in which Maria (Jessica Heisey) expresses the joy she finds from being in love with Tony (Brendan Massar). The show itself is not the only challenge. 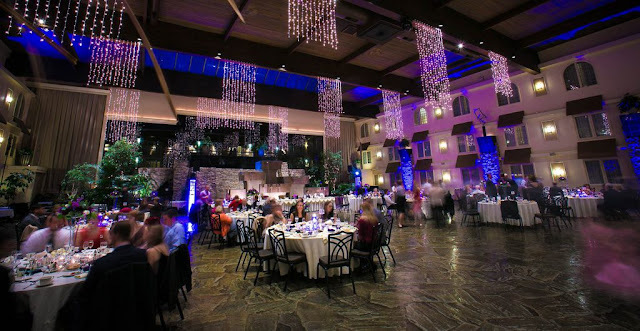 Time management has been very important due to inclement weather resulting in several cancelled rehearsals. This is not the first year that weather has caused problems. Waller says that her experience “helps with staying focused and being flexible with missed rehearsals.” Despite the challenges, the cast still loves rehearsing as a makeshift family throughout the season. Stage crew has been working alongside the cast helping rehearsals to run smoothly and putting sets in place. Skye Reinacher and Lauren Kneisley are leading the team as stage manager and assistant stage manager respectively. With 16 members of crew now helping daily, their focus has been moving sets quickly and safely. The sets that transform the L-S stage into New York City are very heavy and unpredictable, so moving them is a team effort and challenge. But ASM Lauren Kneisley still loves the process. “I enjoy being part of making the production enjoyable for others,” she expressed. Another group has been working to coordinate as a team as well. 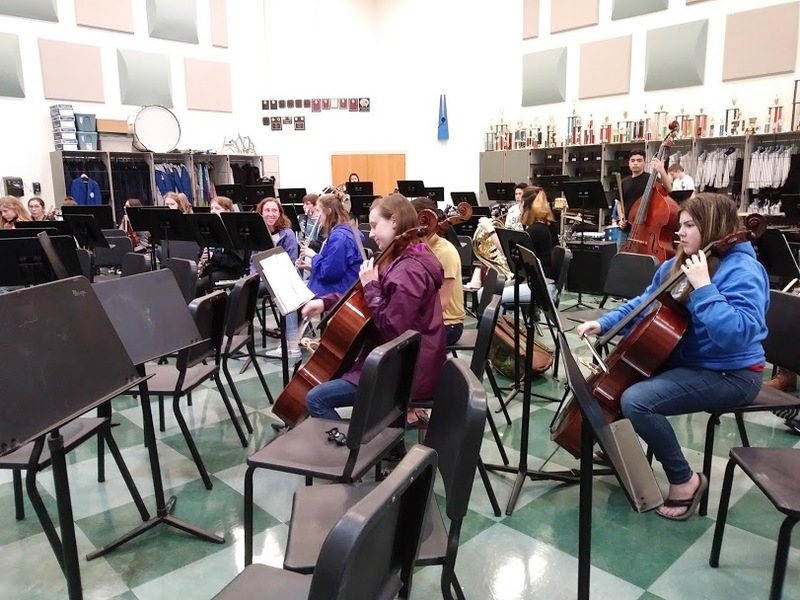 The pit orchestra has been tackling Bernstein’s challenging score as a group 2-3 times a week and for countless hours of individual practice. 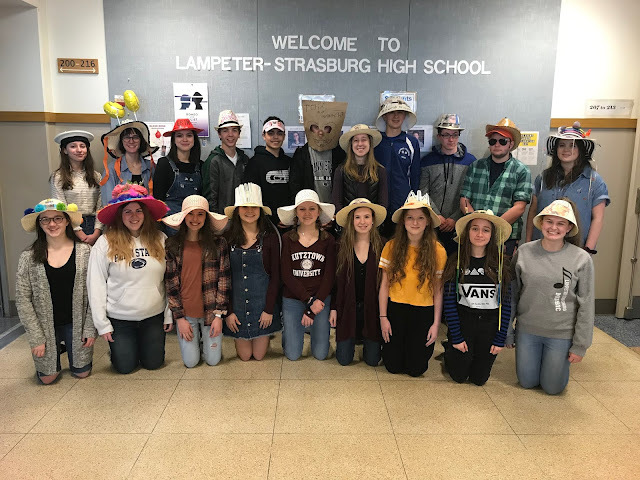 Directed by Mr. Robert Shaubach, the pit will join the cast and crew in rehearsals within the next few days. For now, however, the ensemble is repeating songs with full run-throughs of act one and act two to get a sense of the show’s timing. “It helps us to feel how the show comes together,” percussionist Luca Ferretti explained. 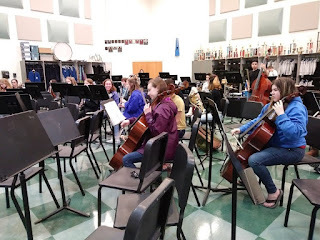 Pit orchestra has also started to incorporate cast member vocalists during the rehearsals. The collaboration the group very different than other school ensembles. “Pit combines band and orchestra in a unique way: through a challenging musical,” Ferretti commented. Part of what makes so difficult is that most instrument parts covered by only one musician. As with the other students involved with the musical, pit members went into this production knowing that it would be a challenge and learning process. 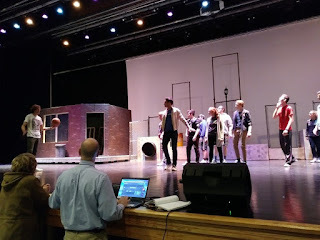 Similarly to other extra-curricular activities, musical takes an incredible amount of commitment, including late nights and an immense amount of time management skills. But Alyssa sums up how most students feel. “Musical is life for three months, but I love it. 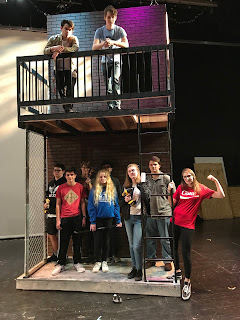 It is so worth giving up my spare time.” In 14 days, the over 200 hours will pay off for both students and the audience alike as the curtain opens for the first time. Tickets for West Side Story are now on sale in the high school main office from noon to 4 pm week days. 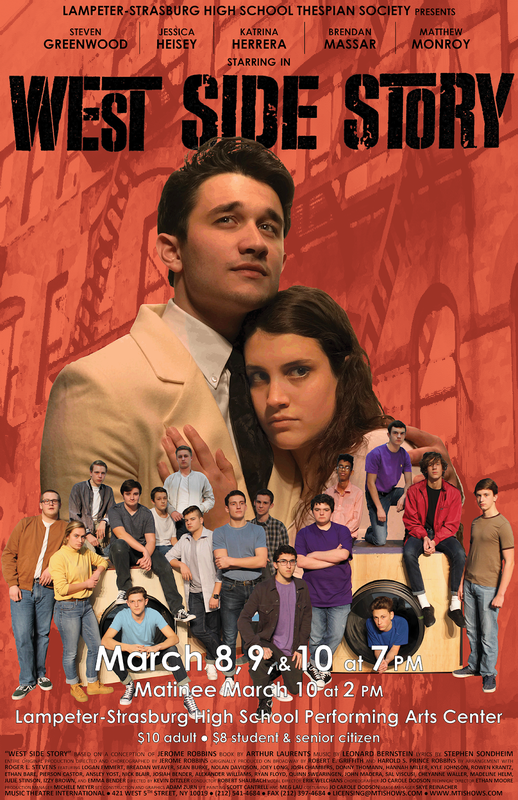 Show dates are March 8, 9, and 10 at 7 pm with a matinee on Saturday, March 10 at 2 pm. Student and senior citizen tickets are $8. Adult tickets are $10. Tickets can also be purchased at the door. 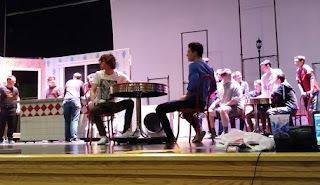 See all of Pontz's behind the scene rehearsal photos.